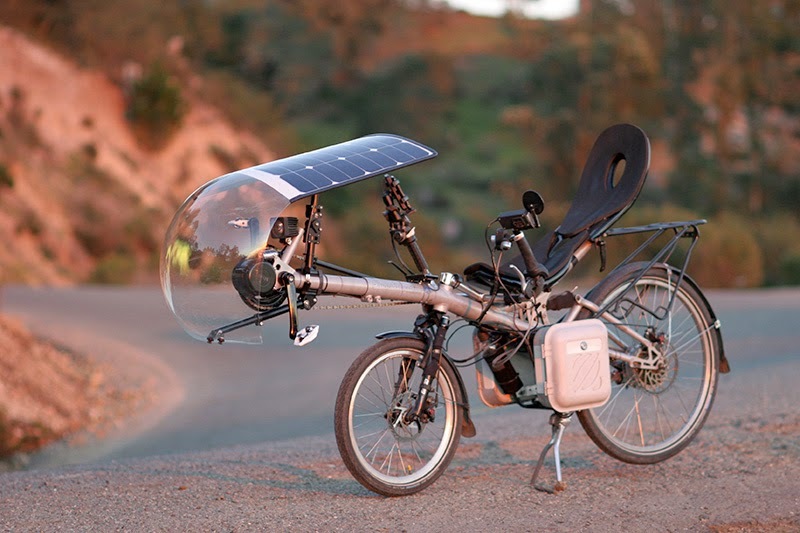 In West-Africa to East-Africa where three final year students of the University of Nairobi, Charles Ogingo, James Ogola, and Robert Achoge, successfully developed an emission-free motorcycle which captures solar energy, stores it in batteries, which in turn powers the motorcycle’s electric motor. The architectural name of the system is called ECOTRAN, and it uses 40 solar photo-voltaic units with each generating 250 watts of electricity. The stored energy in the battery is transformed by inverters into alternating current (AC) which the batteries use. Now this battery can last the motorcycles around 70 kilometers before it needs to be replaced at the charging station. The three promising students started a company called Pfoofy Solar Limited in 2014, with backing from the Strathmore Business School in Nairobi. 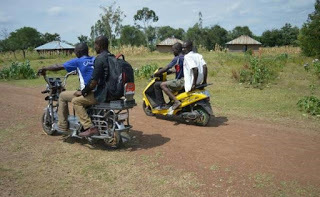 This year, after successfully trying the ECOTRAN system on 3 motorcycles, in the Nyakach area of Kisumu County, they are expanding to 40 motorcycles. Fortune rewards the brave they say, thus the United States African Development Fund and Power Africa provided them with a $100,000 grant to further their business. The 40 motorcycles they are using are imported from China and are leased out to 40 well-trained local riders – popular form of business in the area. This of course helps the finances of the local populace. Take for instance, Omondi is a local motorcycle rider. He used to make about 9.60 dollars per day, but some 3 dollars goes to leasing and fueling each. However now, the new 40 riders (of which he is among) just need to spend around 96 cents daily on fuel. But the real gain here is the whole lot of good they are doing the environment by cutting down on atmospheric pollution from gasoline-powered motorcycles. 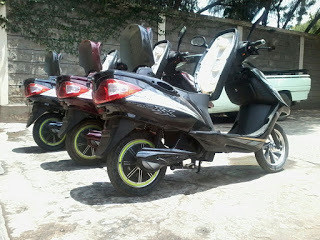 Although it is a laudable development, the system is not perfect as the electric-powered motorcycles have low acceleration and cannot work in hilly terraces. We believe that further iterations and improvements to the system would consolidate its gains and move it from strength to strength, both for the economic and environmental benefit for the African continent.